This month Instagram turns 2. I think it’s safe to say the fine folks at Instagram aren’t sittin’ in Gramma’s rockin’ chair watching time pass by; rather looking forward and making plans for the future. While they go ahead and look forward, I take time to look back. 5. Oh Thank Heaven! 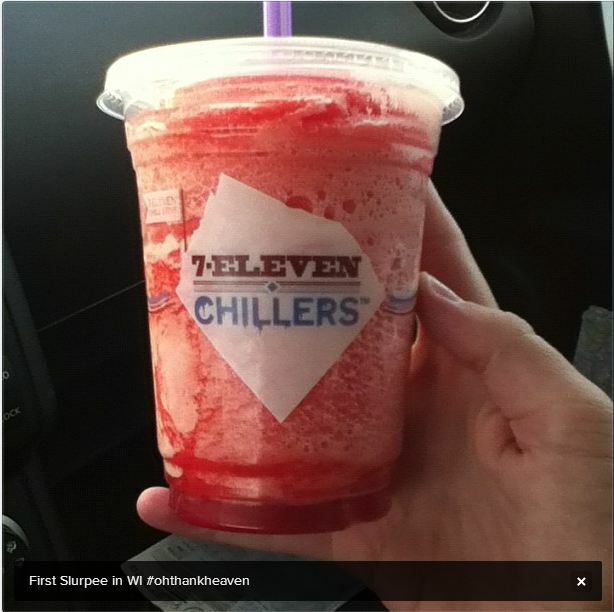 My first Slurpee in Wisconsin – and boy did it hit the spot! Looking at this Instagram pic still makes my mouth water. 4. 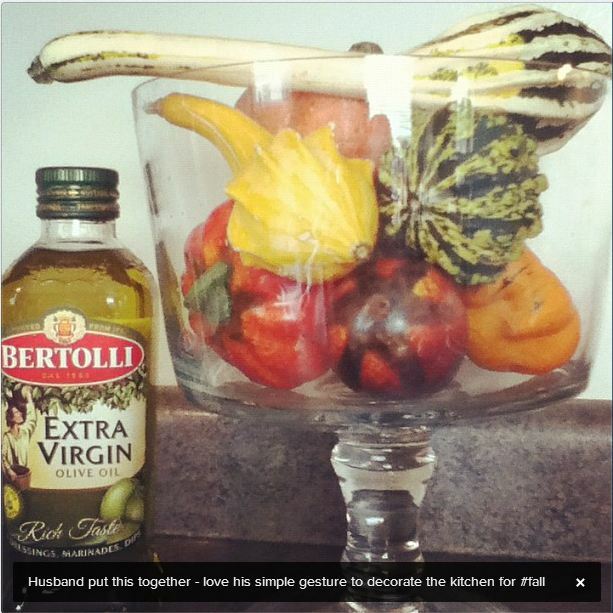 My husband added three real gourds to the jar of fake ones in the kitchen. Any guesses which is which? 3. Ummm. Peaches n’ cream. 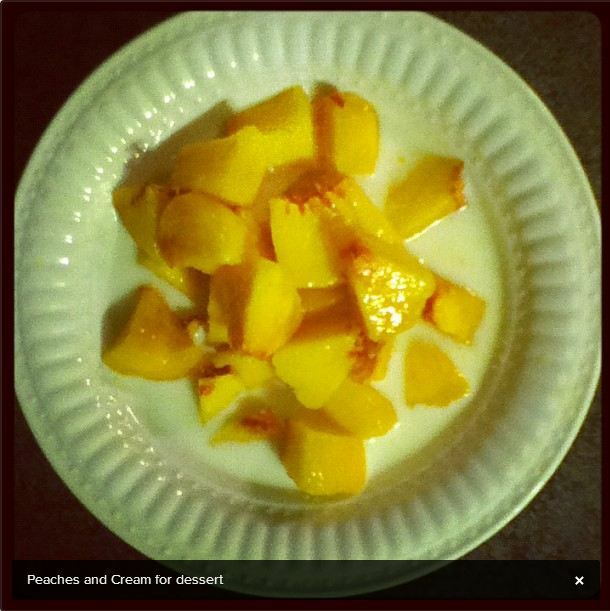 There’s nothing quite like fresh peaches in a bowl of cold milk with sugar sprinkled on top. 2. This Instagram pic definitely makes my Top 5! 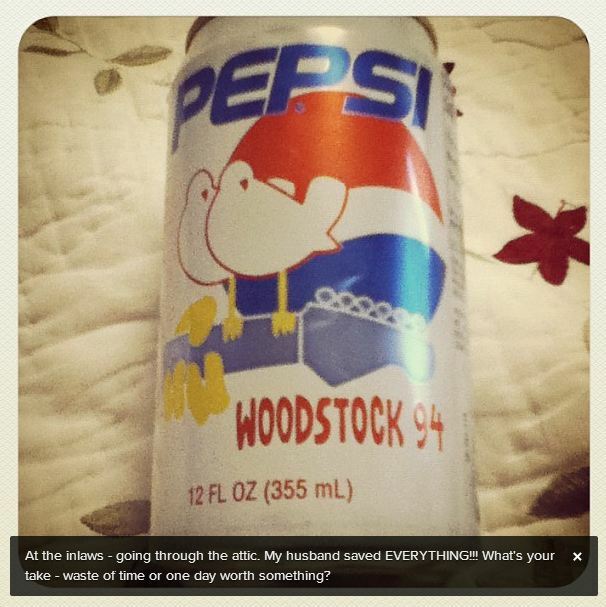 It’s the very first Instagram I ever sent. 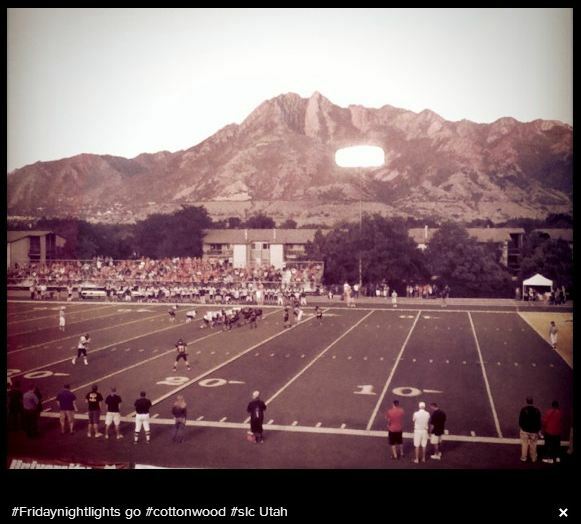 Friday Night Lights live from Salt Lake City, Utah. I took this photo at the Cottonwood High School home opener in 2011. Boy do I miss that view of the Wasatch Front! To follow me on Instagram – search for @krachelw.